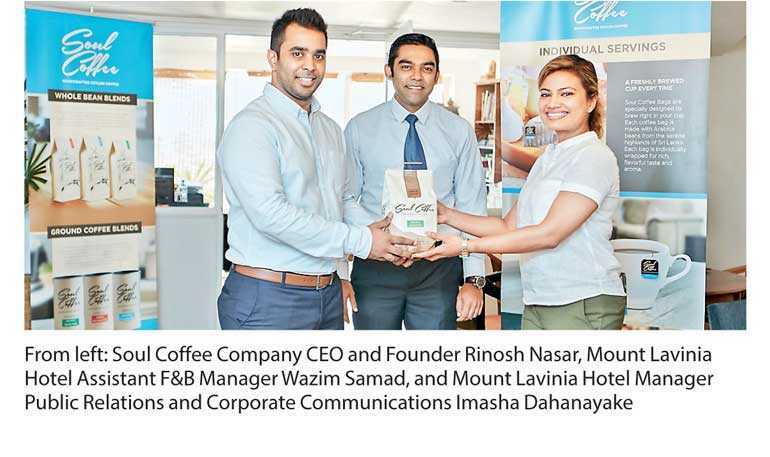 Soul Coffee, Sri Lanka’s leading premium coffee brand, recently partnered with the prestigious Mount Lavinia Hotel as their exclusive total coffee solutions provider. The partnership ensures that guests at the Mount Lavinia Hotel can experience the finest locally grown and handpicked Ceylon coffee at any of the Hotel’s premier restaurants, banquets and rooms. Soul Coffee, with its ethically conscious and environmentally friendly approach to coffee, has been reviving Sri Lanka’s rich coffee heritage and been the driving force behind the country’s renewed coffee culture. After entering the market with the promise of providing handcrafted coffee, sustainably sourced from the highlands of Sri Lanka, the company soon established itself as a favourite amongst coffee drinkers and aficionados. Forming strategic partnerships with leading hotels and cafes in Sri Lanka, Soul Coffee has spread the joy of tasting locally grown and artisanally roasted coffee.